WASHINGTON, DC — The dramatic losses the Islamic State (ISIS) has sustained at the hands of the American-led coalition and its local allies have failed to take a toll on the jihadist group’s global reach, the head of the U.S. National Counterterrorism Center (NCTC) told a House panel. The number of arrests and disruptions we’ve seen around the globe, while that is a testament to effective law enforcement and intelligence work, it also tells us that the global reach of ISIS remains largely intact, even as the group is being decisively defeated on the battlefield. He told lawmakers that there has been an “uptick” in ISIS-inspired attacks despite the group’s military defeats in Iraq and Syria. “We are winning on the battlefield. But, unfortunately, territorial losses have not translated into a corresponding reduction in the group’s ability to inspire attacks, even including here at home,” added the NCTC chief. He testified alongside U.S. Department of Homeland Security (DHS) Acting Secretary Elaine Duke and the FBI director. Al Qaeda has never stopped being a primary counterterrorism challenge for the United States and a top-tier priority. So, even as we point to ISIS, we continue to see the continued evolution of al-Qaeda as a resilient organization. And we know that al-Qaeda retains the capability and intent to carry out attacks against our allies around the world. ISIS is clearly facing significant battlefield pressure from U.S. forces and the coalition, and the size of the territory the group controls is shrinking day by day. As ISIS copes with that territorial loss, though, the group will look to preserve its capabilities by operating more as a covert terrorist organization and as an insurgency from its few remaining strongholds in Iraq and Syria. 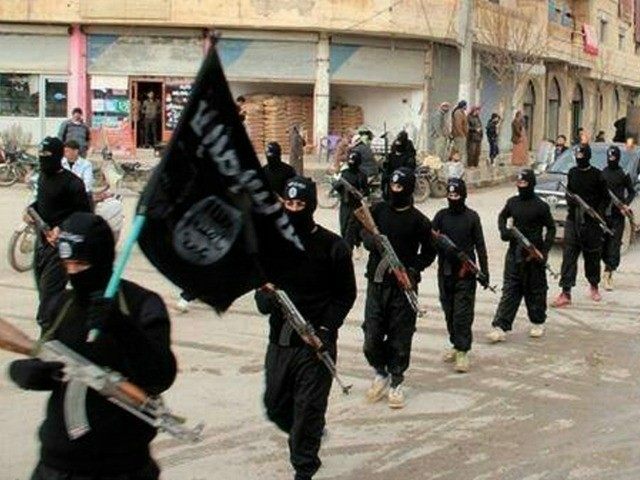 The DHS secretary cautioned that there has already been an “uptick” in ISIS-linked attempts to carry out external operations against the United States stemming from the increased pressure American troops are placing on the jihadist group in Iraq and Syria. “The result is that our interagency partners and allies have tracked a record number of terrorism cases,” she told lawmakers. Both Duke and Rasmussen emphasized that the United States is facing more terrorist threats now than during the period of the September 11, 2001, attacks on the American homeland. More than 16 years after the 9/11 attack that killed and injured nearly 9,000 Americans, jihadist groups remain intent on targeting America’s aviation sector, declared the high-ranking officials. “I would point to the resurgence of aviation threats, reaching a level of concern that we in the intelligence community have not faced since AQAP’s [al-Qaeda in the Arabian Peninsula] printer package plot back in 2010,” said Rasmussen. During the hearing, the top U.S. officials also highlighted the need to combat the menace posed by cyber adversaries and domestic terrorists, particularly ideologically driven violent extremists such as racial supremacists and violent anarchists.